The Shops at National Place is a three-level shopping mall located in the heart of downtown Washington, D.C. in the National Press Club Building. The Shops contains over 75 specialty shops and eateries including Filene’s Basement, Bandolino, Simply Wireless, and White House Gift Shop. 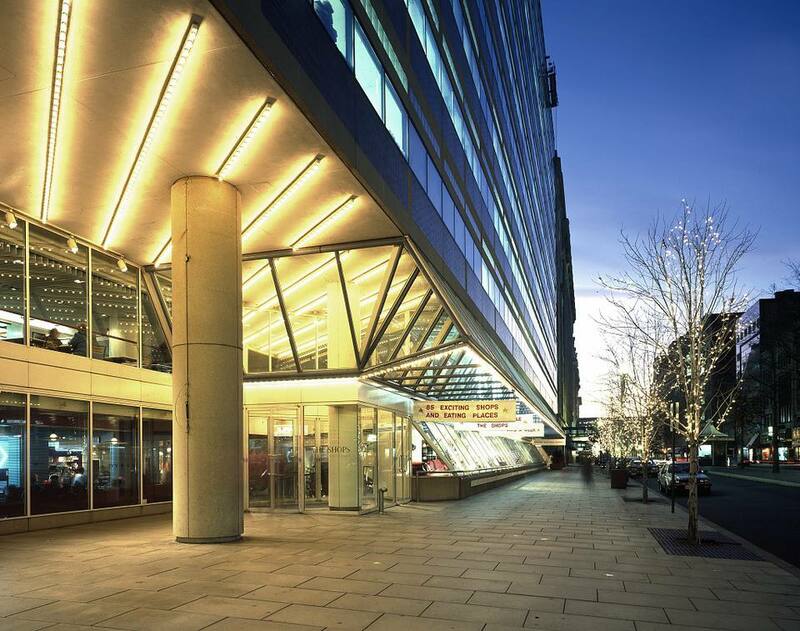 The Shops at National Place is located near Pennsylvania Avenue just steps from the National Theatre and Freedom Plaza, providing ample opportunities for adventure on a school trip or family vacation. The Food Hall is open for breakfast, lunch, and dinner and provides a fast and inexpensive place to eat in the heart of the city. With two entrances, one on 13th & F Streets, NW just 1 block from Metro Center and one at 1331 Pennsylvania Avenue across from Freedom Plaza, the Shops at National Place and National Press Club are easily accessible at just a few minutes walk from the Metro Center and Federal Triangle Metro stops. More commonly known as "Eat at National Place" now because of the size of its food court, the Shops at National Place is one of four major shopping malls in Washington, D.C. and the one with the largest food court. One of the most popular places to try all types of cuisine at once for an unbeatable price is the food court called Eat at the National Place, which is located inside the Shops at National Place mall on Pennsylvania Avenue. Restaurants currently servicing the National Place food court include Esprinto Cafe, Five Guys, Grill Kabob, Kabuki Sushi & Teriyaki, Moe’s Southwest Grill, A Slice of Italy Pizzeria, Smak, Soul Wingz, and TaKorean Korean Taco Grill. You can even purchase meal vouchers in advance at a lower group cost, which allows large groups of people to eat for the lowest price in the Washington, D.C. area. Keep in mind that these meal deal programs must be applied to in advance using an online form. When dining at the National Place, you can expect longer wait times during the busy lunchtime and dinnertime rush hours, so plan ahead and try to coordinate your group meals during the off-hours of the day from 10 a.m. to noon and from 2 p.m. to 4 p.m. The nation's capital in Washington offers a variety of attractions that are appropriate for school trips and family vacations alike. Eat at National Place is just steps away from the White House, the National Museum of African American History and Culture, the National Mall, the Smithsonian National Museum of Natural History, and the United States Capitol Building. A little further away, but still within walking distance, is the Martin Luther King Jr. Memorial, the Thomas Jefferson Memorial, and the Korean War Veterans Memorial as well as the famous Lincoln Memorial and Reflecting Pool. Other museums include the Smithsonian Air and Space Museum, the Smithsonian Institution, the International Spy Museum, the National Building Museum, the United States Holocaust Memorial Museum, and the National Geographic Museum, and each is worth about half a day of exploration and discovery. 5 Romantic Ways to Celebrate Your Anniversary in Washington, D.C.